Action shots | and sure stars shining . . . 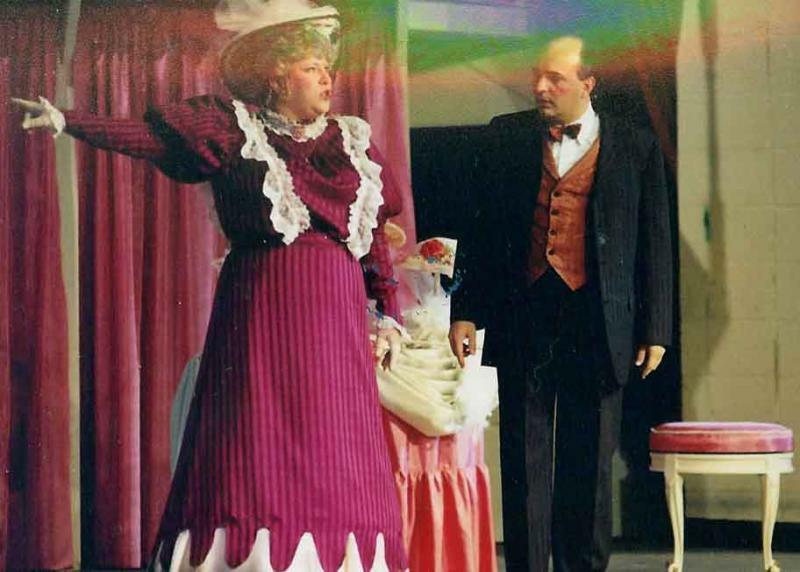 Playing Horace Vandergelder in Hello Dolly in 1992. 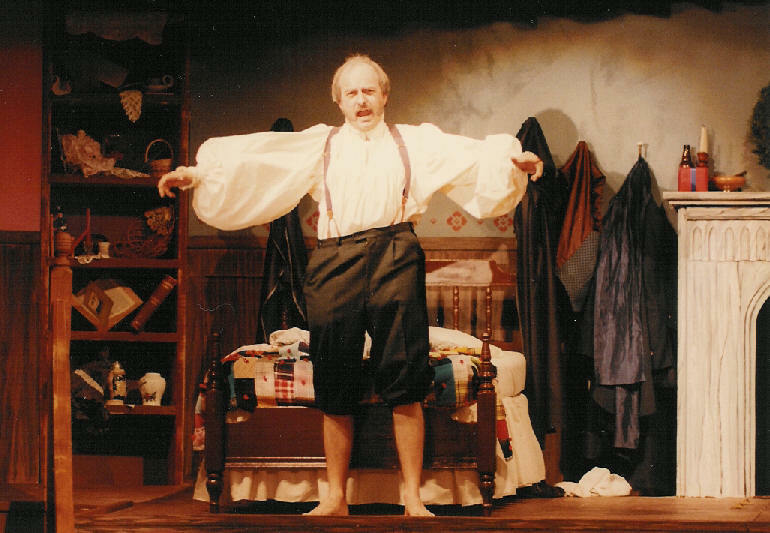 Redemption in the title role of Scrooge, 1988, at the Blue Springs City Theatre. 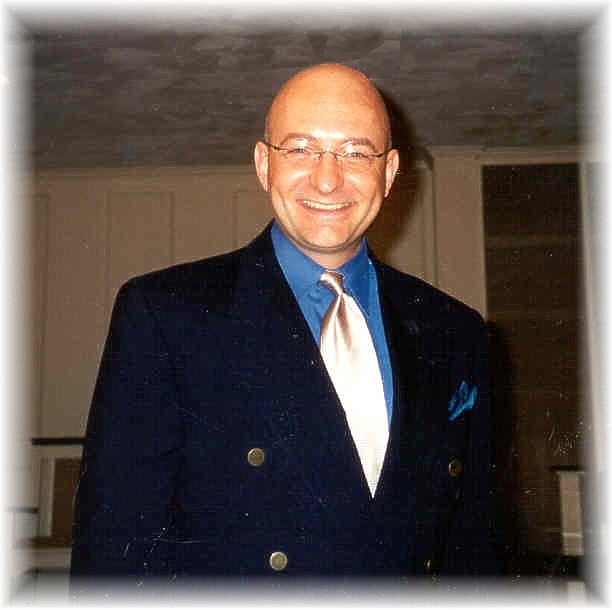 Notice the mutton chops I wore for a month! Midwestern Music Camp at KU, 1996. 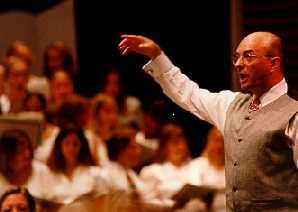 Conducting at Midwestern Music Camp. 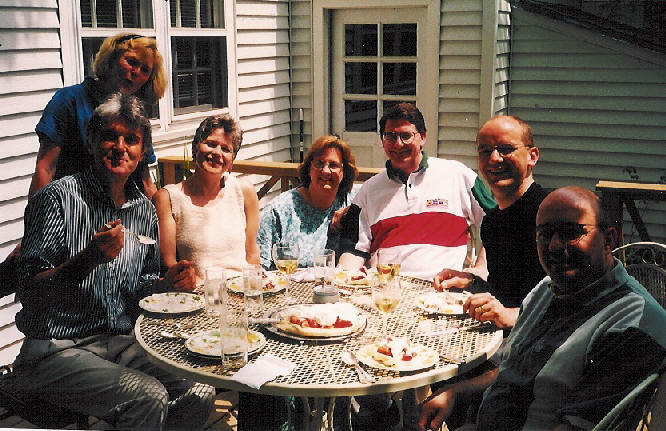 With Simon Carrington and Bob Chilcott and KU doctoral colleagues at Simon’s house in Lawrence, 1997. 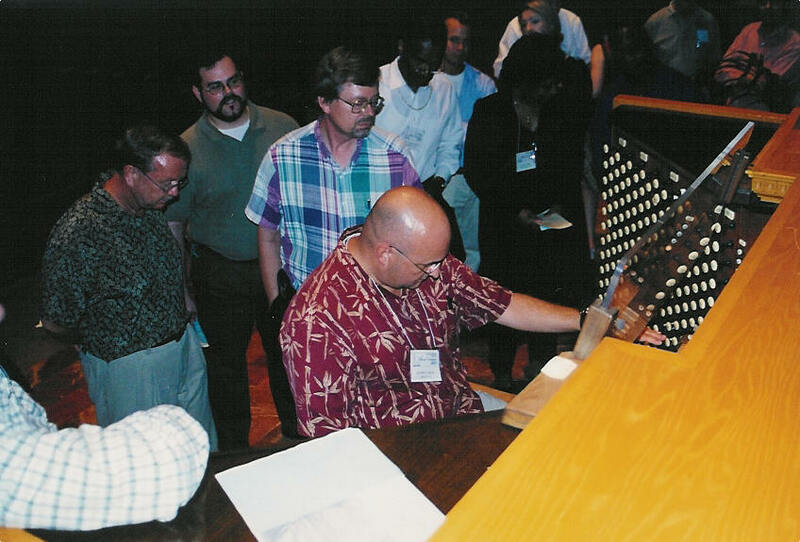 At the piano at the KU Lied Center, April 2008. Singing the Byrd “Great Service” with the KU Oread Consort at Grace and Holy Trinity Cathedral, Kansas City. 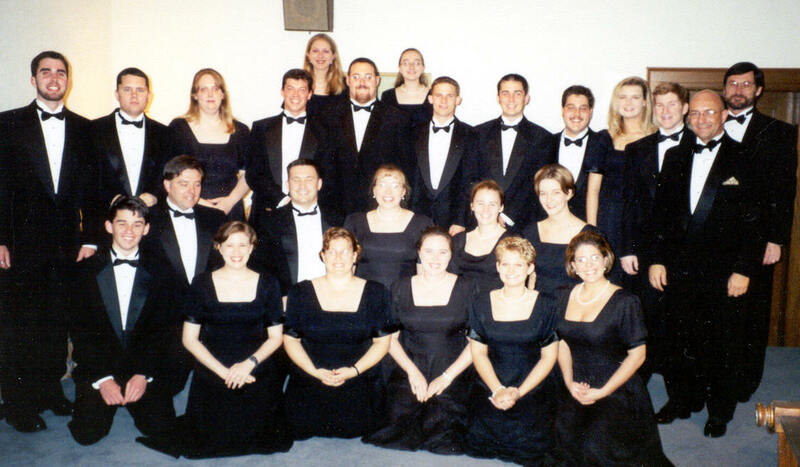 At a recital at Kentucky Wesleyan College in 2000. 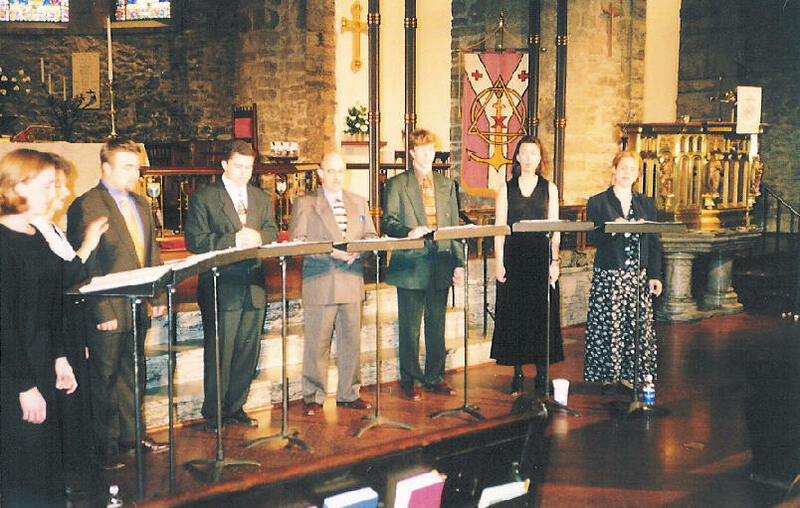 Before my final concert with the Kentucky Wesleyan Singers in Milwaukee, 2000. 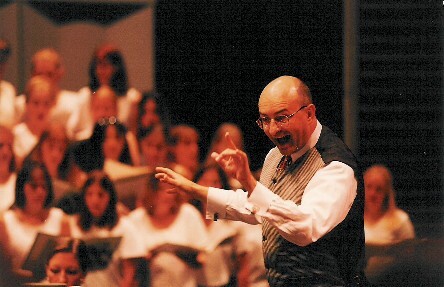 Conducting the Jacomo Chorale at the RLDS Temple in Independence, 1997. 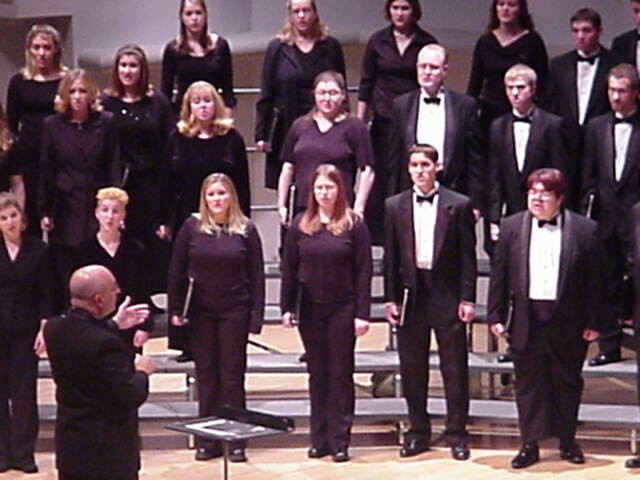 Conducting the Ball State University Chamber Choir in 2003. 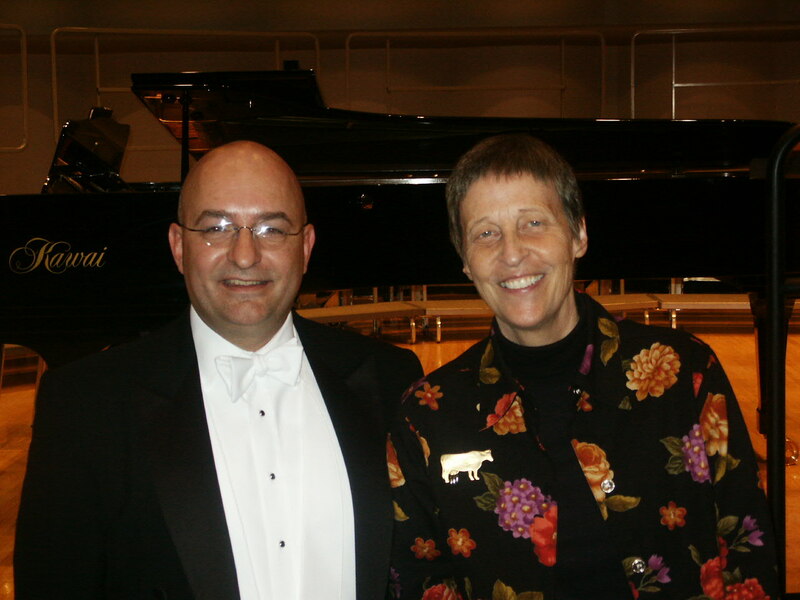 With composer Gwyneth Walker after premiering her newest choral work in November 2004. 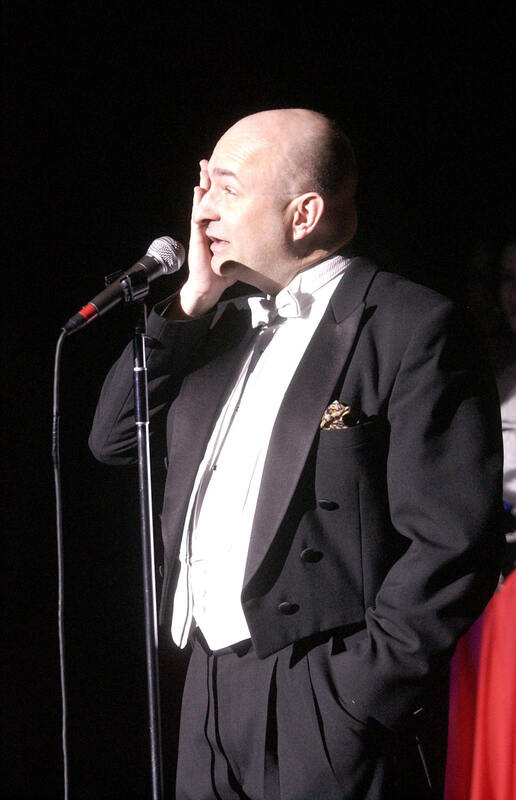 On stage at Ball State University Singers Spectacular, 2003. 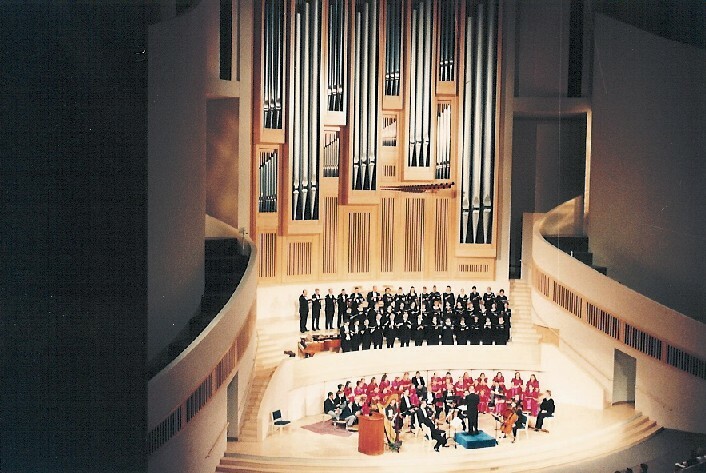 At the great organ at the Crystal Cathedral, Orange County, California. 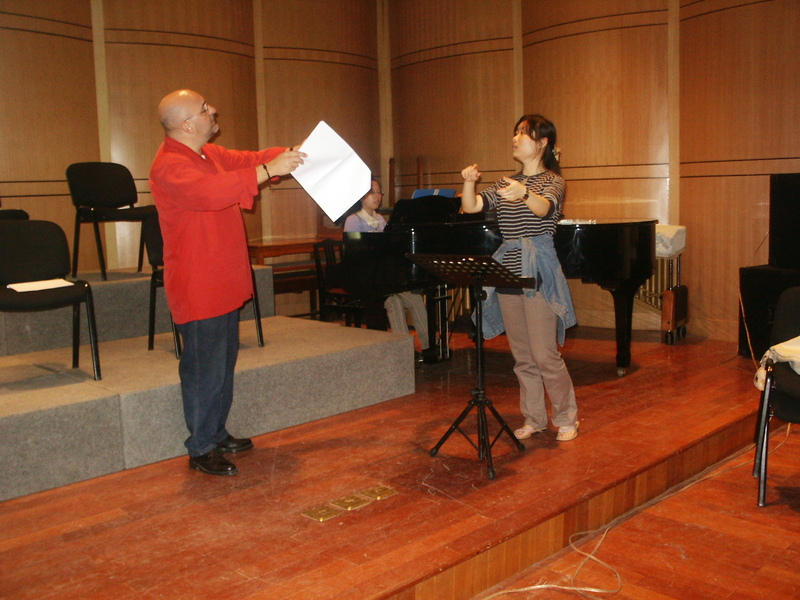 Teaching a conducting master class at Shanghai Normal University in 2005. Teaching a freshman voice class at Shanghai Normal University, 2005. 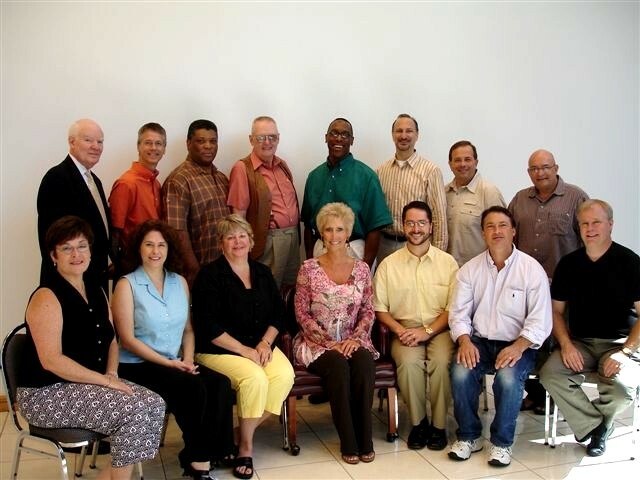 With my colleagues on the American Choral Directors Association national standards board, 2006. 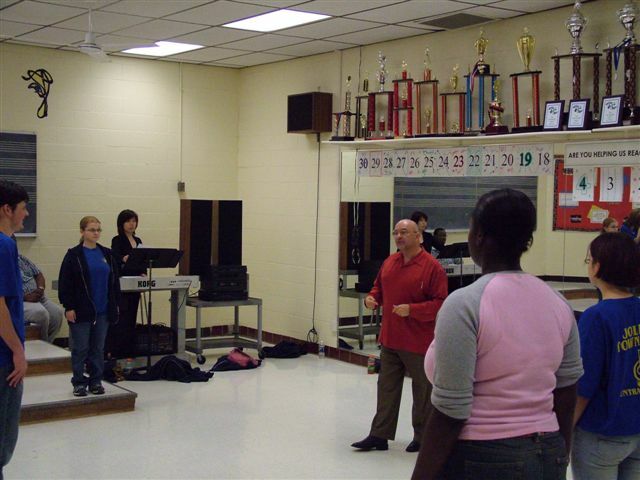 Working with a high school group in 2006 at Crete-Monee High School, Illinois. 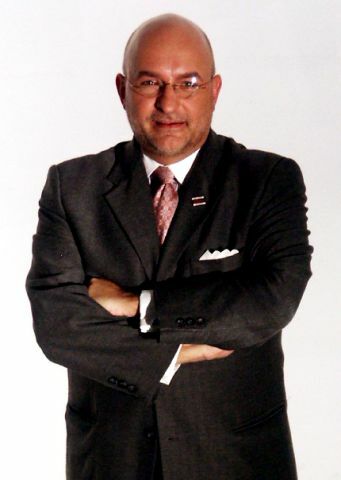 In the studio in January 2006. 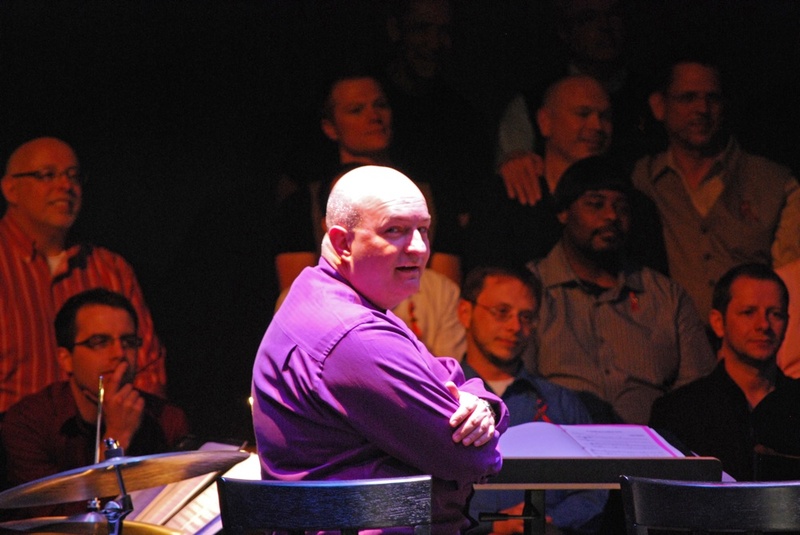 On stage with the Gateway Men’s Chorus of Saint Louis, 2009. 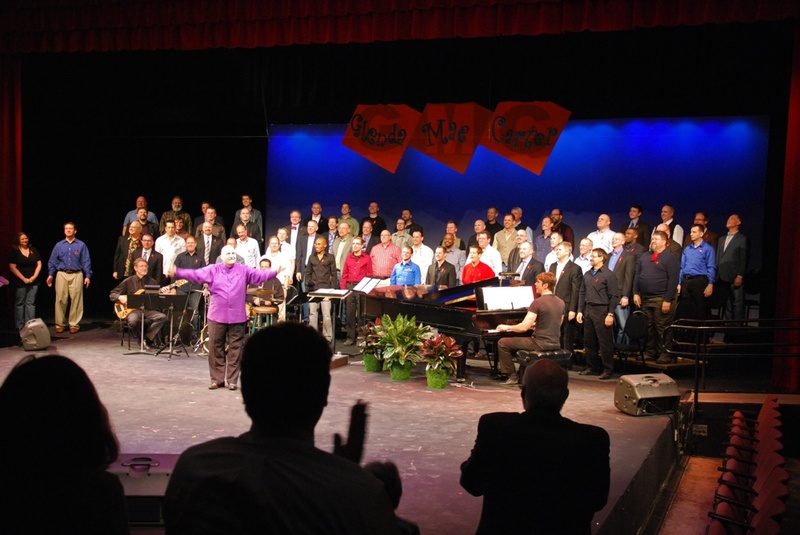 At the conclusion of a Gateway Men’s Chorus concert, 2009. 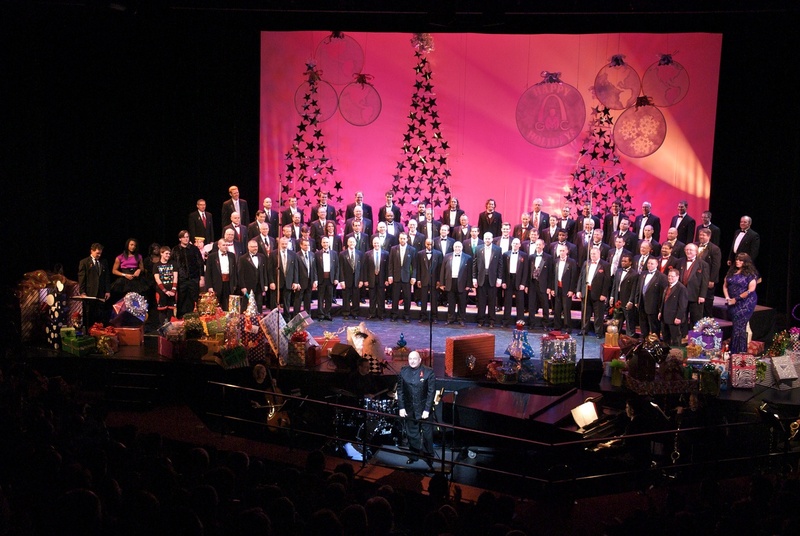 Taking a bow with the Gateway Men’s Chorus, December 2010. 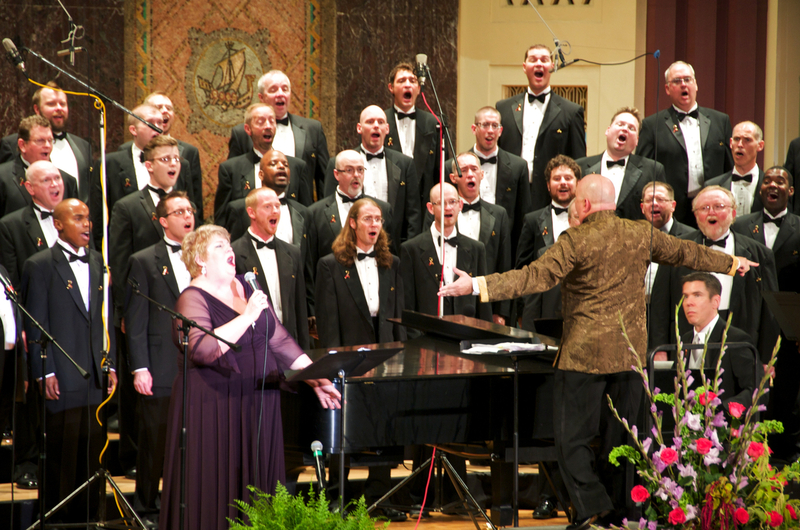 Conducting Christine Brewer in concert with the Gateway Men’s Chorus, 2011. 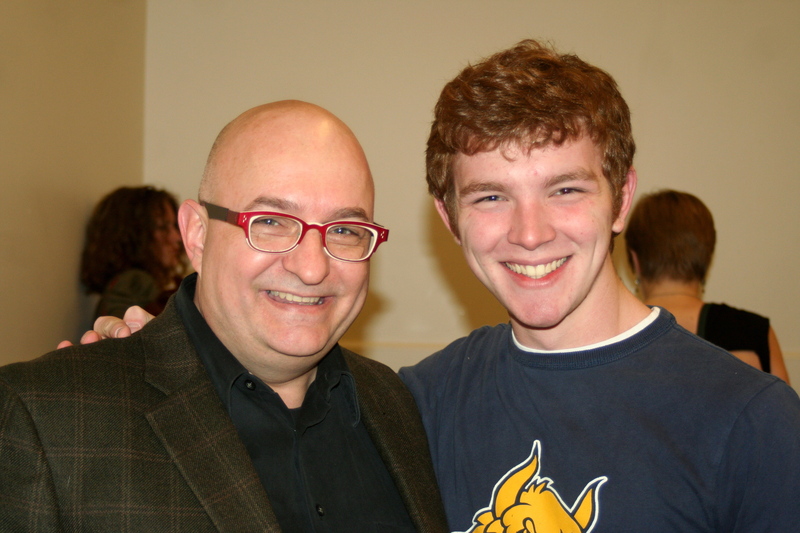 With my freshman student Jeff Allison at a 2011 master class. 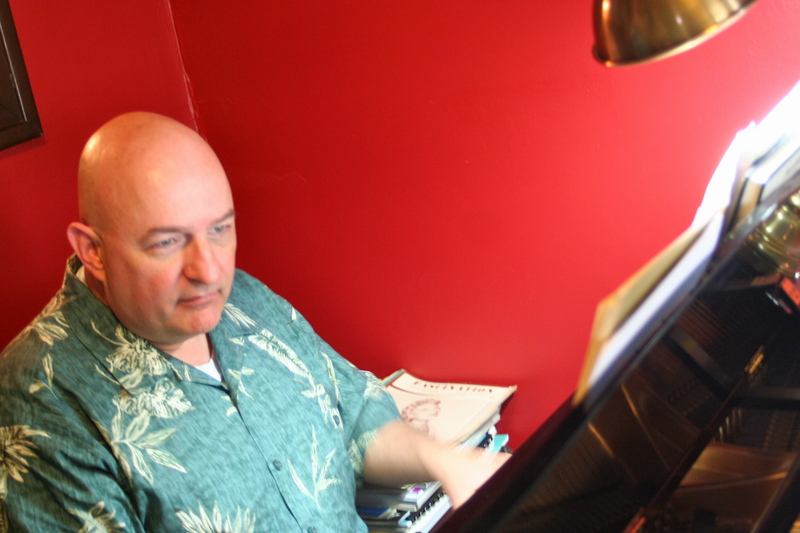 At the piano composing in December 2011. 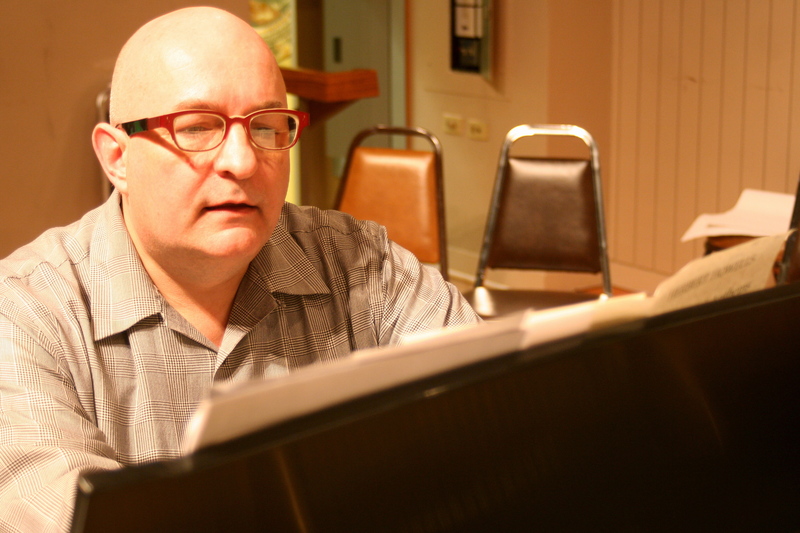 Rehearsing at home with students in April 2012. 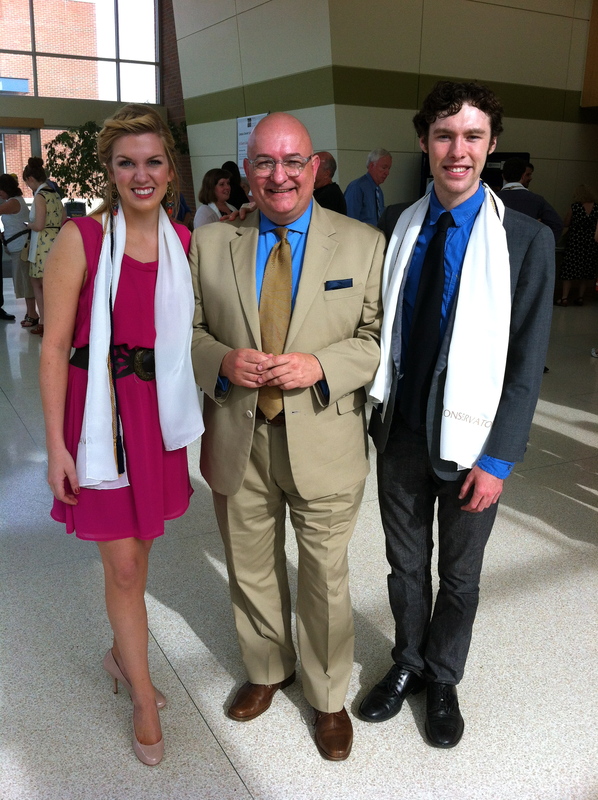 With voice students Audrey McHale and Kyle Acheson at the honors ceremony prior to 2012 commencement. 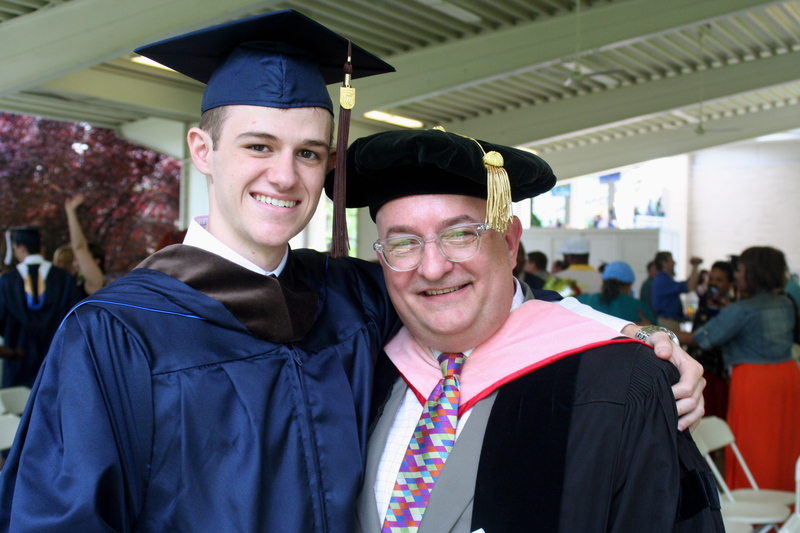 Commencement 2012 with Jared Lotz.